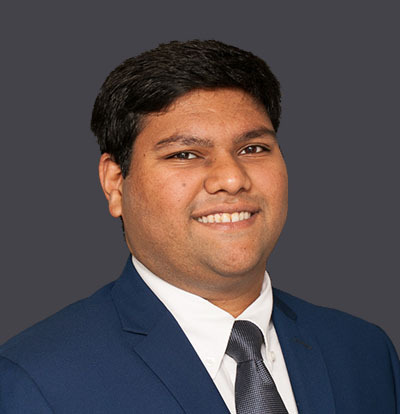 Ronak is an Analyst with CohnReznick Capital and is based in the New York office. He focuses on financial structuring and modeling, project due diligence, and transaction management for solar and wind project finance and M&A transactions. Before joining CohnReznick Capital, Ronak was a consultant for World Bank Group, where he helped build an optimization toolkit to advise on the portfolios of Energy Utility companies in Africa and Pacific incorporating the financial and technical constraints. Ronak also worked as a Teaching Assistant for two graduate level economics courses at Columbia University’s School of International and Public Affairs. Before Columbia, he worked as a Financial Analyst for Credit Suisse for a couple of years covering financial valuations for the Foreign Exchange and Rates Products across EMEA and APAC region. Ronak also worked in some key Indian Government Ministries including New and Renewable Energy Ministry as a Project Manager before coming to United States to pursue his graduate studies. Ronak was handpicked by United Nations Unleash Innovation Lab as one of the 1000 global leaders to meet the UN SDGs. He also received multiple fellowships including Endeavour Foundation and Earth Institute’s Sustainable Development Fellowship for his work on sustainable development projects in India and Ethiopia. Ronak holds a Master’s Degree in International Affairs with focus on Global Energy Policy and Management from Columbia University in New York. He graduated from BITS Pilani in India with a Bachelor’s in Mechanical Engineering and Master’s in Economics. In addition to his native language Hindi, Ronak is fluent in English, Urdu and Punjabi.